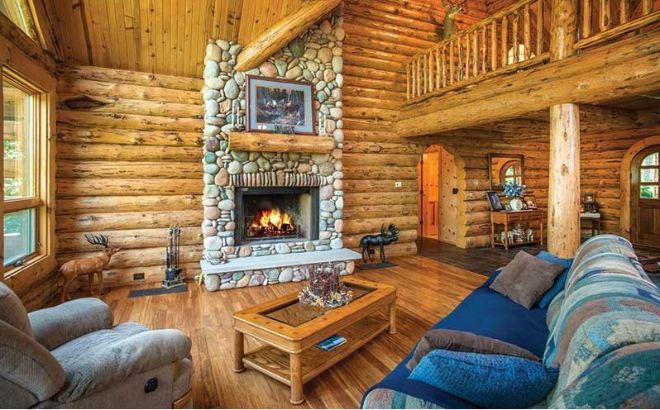 Wood, wood, and more wood – that’s what we like to see in a perfect log cabin: nature brought to life through a home. 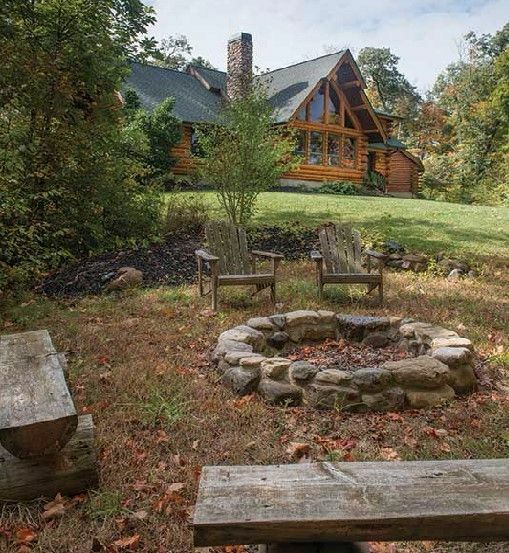 One of the most amazing things about these special wooden retreats is how they meld into their environments, inside and out. 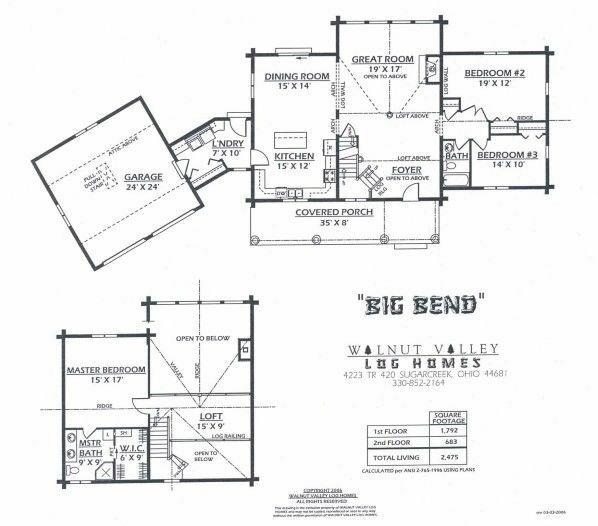 Big Bend is built using thick, quality, horizontally-placed logs, which are a feature both on the inside and outside of the property. 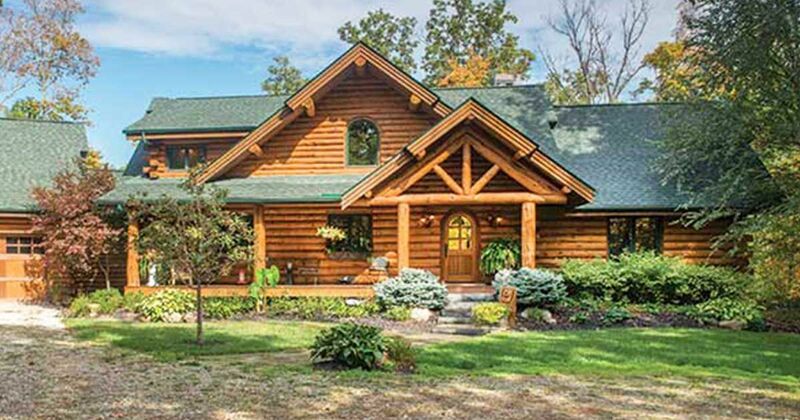 It is framed by two sloping triangular roofs of different sizes – one in front of the other - giving it a classic log home appearance. 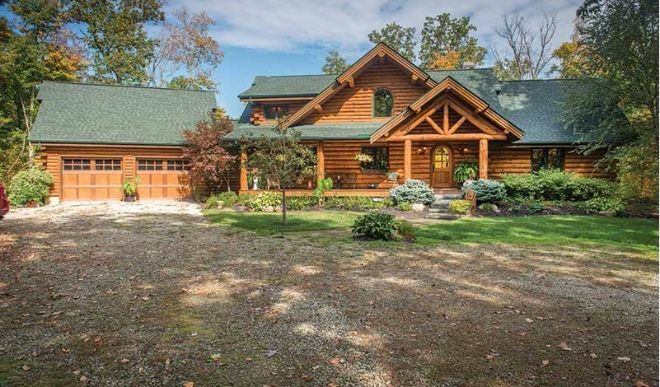 Do you think the exterior is impressive? Wait until you see inside! 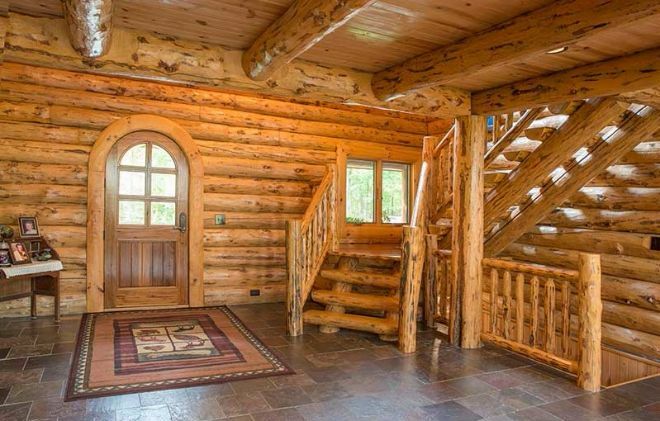 Entering the house, you step into a good-sized foyer which leads into the appropriately-named great room. Without even going further into the house than this, we completely fell in love with it. 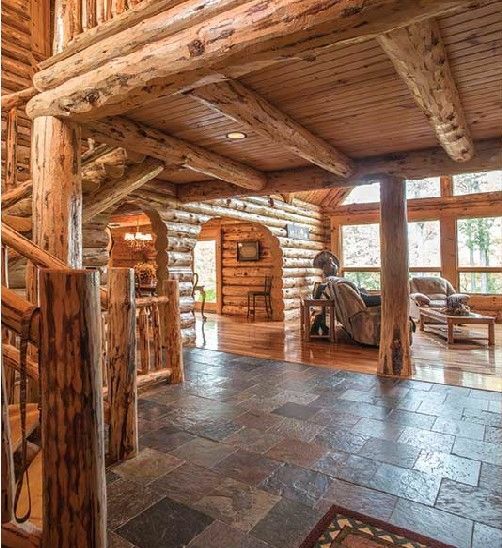 It’s amazing how the same log-fronted exterior decorates the whole inside of this lovely home. Look how the light reflects off the wooden staircase – marvelous! The foyer is separated from the living room by a subtle change in flooring – a dark tiled entrance into a warm, medium-dark wood floor. The color of the furnishings works dreamily against the wood and of course, how could we not mention that rising stone fireplace? Did we already mention that this was one of the most spectacular features of the house? Well, it’s worth talking about again. Stretching up and across the full front of the room and shaped into the typical triangular roof is a huge window which shines light on the whole ground floor. Doesn't it make you feel like you are sitting outside? Through a wide open archway, we reach a good-sized dining/kitchen, again using the feature of the flooring to divide the space. The great number of kitchen cupboards and drawers provides plenty of storage space, contrasting in their dark wood against the natural beams of the walls and ceiling. Cottage-like in appearance, this wonderful kitchen certainly lacks no modernities – a large fridge/freezer, cooker, microwave, and dishwasher. 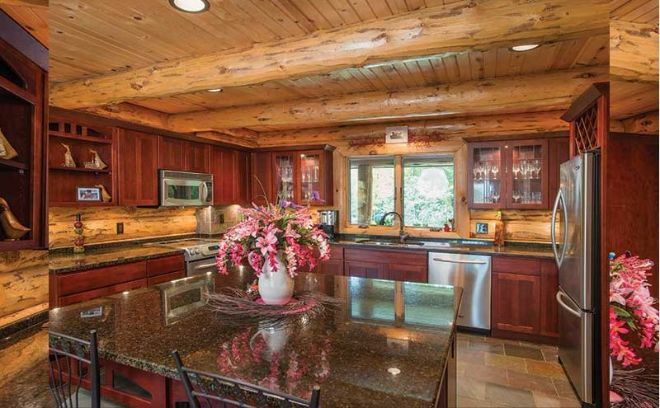 That small breakfast bar on the kitchen island is an excellent spot for morning coffee with a view. 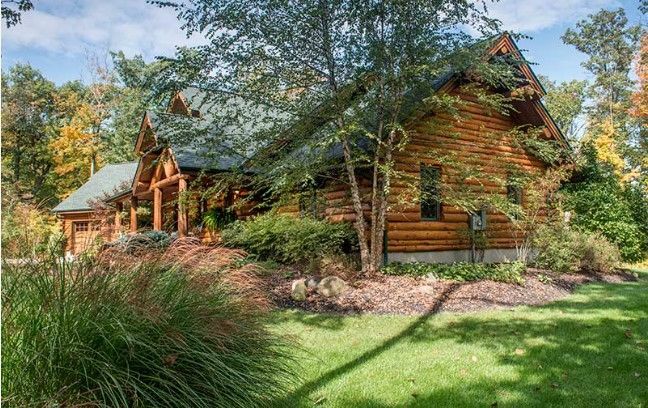 Big Bend is a three-bedroom abode. The upstairs master has a lavish en-suite bathroom and walk-in closet. 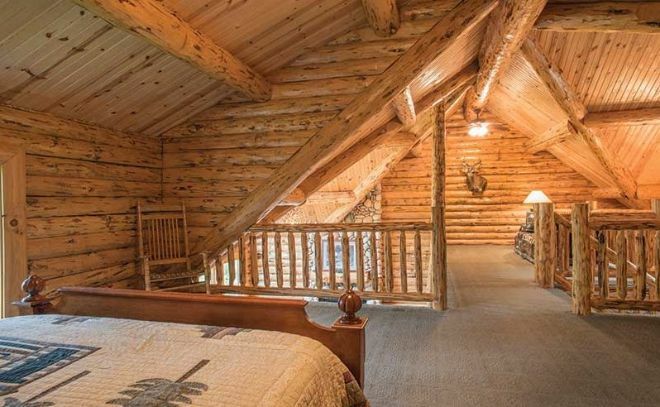 The most impressive extra sleeping spot is definitely the one nestled within the loft space above. The whole of the great room is open to the floor above where you find a huge additional area, perfect for guests. 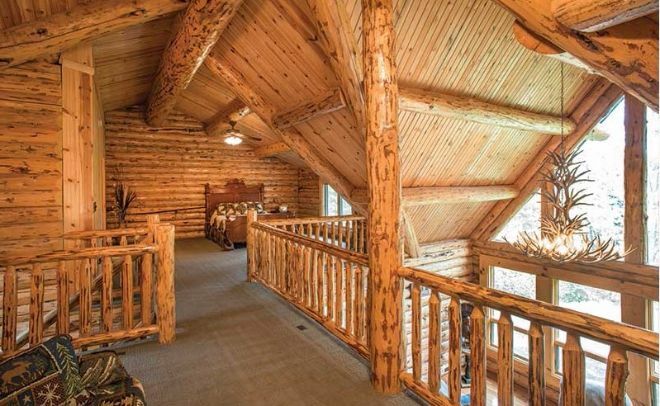 Despite being open with a wonderful overhead balcony to look down from, this room certainly feels private. Look at the light shining through the windows – what a place to sleep! 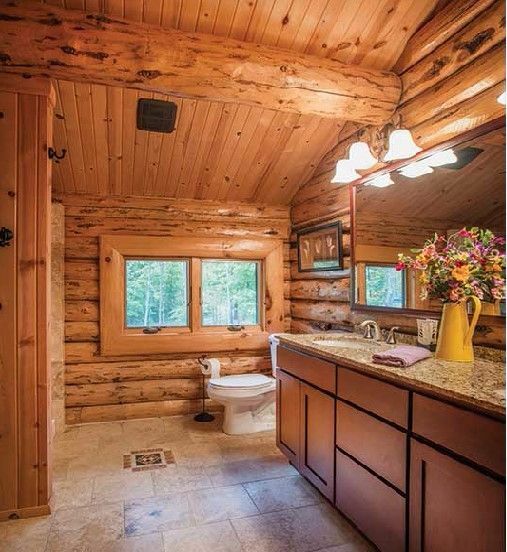 Both bathrooms in this amazing log home have everything you need. The wood finish against the almost Romanesque floor tiling blends modern and traditional together perfectly. I can think of worse places to take a bath, can you? 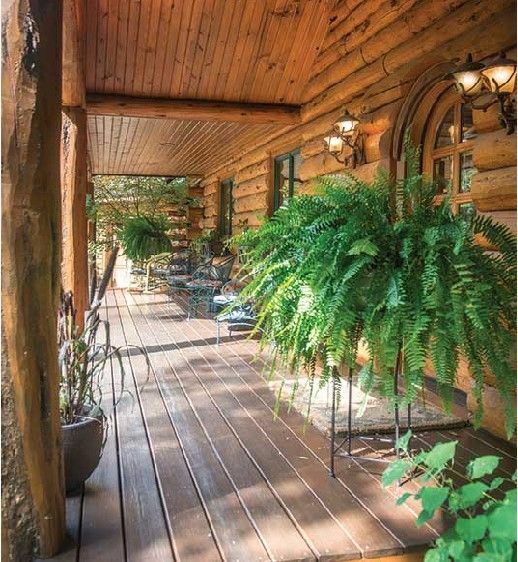 Big Bend’s magnificent covered porch runs from the kitchen over to the entrance foyer. Decorated with lush plants and greenery, this is the ideal place to sit back and relax, taking in your incredible surroundings. We really can’t finish this tour without showing you the back view of the house – no words to describe it! 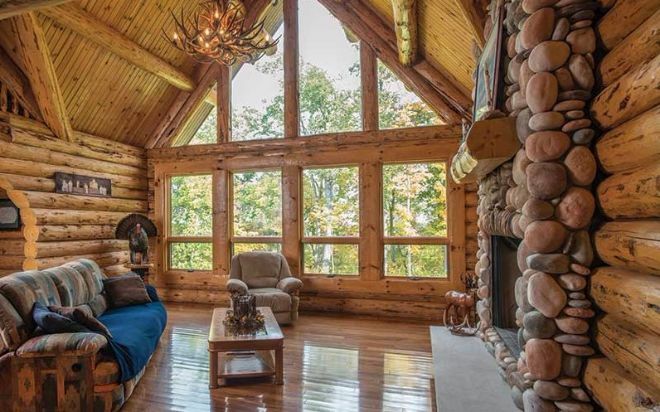 Could this be your dream log home? LIKE and SHARE on Facebook to show your appreciation for spectacular Big Bend!